The success of Disney’s new film, which was almost entirely created on a computer, could mean more technological revolutions are on the way. One of Disney’s newest cash cows is the “live-action remake”—a lavish, big-budget revival of an animated classic (Alice in Wonderland, Cinderella) that appeals to both young viewers and their nostalgic parents. The latest is The Jungle Book, which got strong reviews (including one from my colleague Christopher Orr) and collected a healthy $103 million at the box office in its opening weekend. But even though The Jungle Book is an unqualified hit, it isn’t quite “live action” in the traditional sense. In an era when many big blockbusters like Star Wars: The Force Awakens, Interstellar, and Mad Max: Fury Road are drifting back toward “practical” filmmaking (big sets, with visual effects done mostly in-camera), The Jungle Book took the opposite approach. Though the story is set in the jungles of India, the cast and crew never filmed anywhere but a Los Angeles warehouse. Meanwhile, its young star Neel Sethi worked alongside a cast of characters who were created entirely in CGI, and voiced by famous actors like Bill Murray and Lupita Nyong’o, who recorded their parts months later. That it works is a testament to the ongoing evolution of computer-assisted filmmaking, which is getting ever closer to replicating reality. One reason for The Jungle Book’s triumph is that it avoids rendering people as CGI creatures, which has historically put off audiences thanks to a phenomenon known as the “uncanny valley.” As the “man-cub” Mowgli, Sethi is a recognizable human amid the film’s soup of visual effects. When the director Robert Zemeckis experimented with motion-capture filmmaking in the 2000s, he made three films that attempted to render real people in 3D-animated form: The Polar Express (2004), Beowulf (2007), and A Christmas Carol (2009). They all came under fire for the waxy, glass-eyed look of their computerized stars, even while they took huge steps in the realm of performance-capture technology. The Jungle Book director Jon Favreau didn’t have to worry about that, but his biggest challenge was almost equally tough—getting a convincing performance out of a star who was acting in a vacuum. As detailed in Wired, The Jungle Book used “pre-visualization” techniques pioneered by movies like Avatar and Gravity, in which the film’s look—including camera moves, motion-captured performances, and set design—were sketched out before beforehand and created before filming even began. “Everything was mapped against the virtual sets. We designed the sets like you would for a video game,” Favreau said. Sethi filmed all his scenes against green screens; small pieces of the set would be created if he had to interact with something (like a log, a rocky outcropping, or a slick, muddy field). This approach was pioneered by filmmakers like George Lucas, but to mostly deleterious effect. His Star Wars prequels, which featured real actors interacting with virtual sets and CGI creatures, had a clunky, airless feel to them. The challenges of conjuring realistic performances in such an artificial environment aren’t small, especially when coupled with numerous technical demands. Details audiences wouldn’t think to look for—like realistic lighting and having CGI characters cast accurate shadows—are hugely important for making a primarily virtual movie work. James Cameron’s Avatar, set on the invented world of Pandora and mainly starring 10-foot-tall blue aliens, marked a huge step forward in this regard. Still, its plot for the most part kept its real-life actors from interacting with the CGI Na’vi until the final action sequences. The Jungle Book is basically a computer-animated film with a real actor at its center, but against all odds, it never feels “fake.” In it, Mowgli successfully manages to sustain heartfelt conversations with realistic-looking wolves, bears, panthers, orangutans, and tigers. Unlike so many previous attempts, it feels seamless. The next step, making good CGI humans and truly conquering the uncanny valley, may still be a while off. 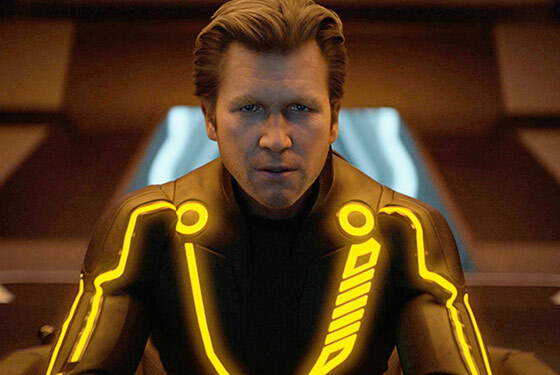 Major efforts, like the creation of a young Jeff Bridges in the 2010 Disney film Tron: Legacy, were perceived as flops; for all The Jungle Book’s success, it wouldn’t work without Sethi to ground it. But progress can be shockingly swift. The Jungle Book would have been a failure if it had been created with the technology from a decade ago; now, it’s a pioneering example for future blockbusters. It’s still cheaper to hire the real George Clooney than to make a fake one, but visual-effects firms are hard at work to create convincing digital doubles to stand in, or even replace, the real ones. In 2014, digital researchers at USC created a demo for a character called “Digital Ira,” a realistic-looking CGI human that showed off the progress made in recent years. It’s still a fact that replacing a recognizable face (like, say, Jeff Bridges’s) doesn’t go over well with viewers, but The Jungle Book is the latest and most promising sign that Hollywood is on the brink of still more technological revolution.